With 23 years of experience in the real estate agency Bas Panch, a real estate broker and owner of Metro Pacific Real Estate earned excellent relationships with major lenders and asset managers. He procures proprietary software for fast listing, escrow, and closing deals, thus selling homes within a couple of hours, at or above asking price. 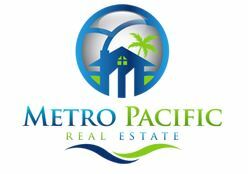 Being familiar with the local real estate market, the real estate agents at Metro Pacific Real Estate can find homes within your budget, advocate and negotiate the pricing, and assist you with all the paperwork facilitating a quick and easy transaction. The agents perform a prior analysis of the property to furnish the customer with everything they need including the home value, comparable information, school information, neighborhood amenities and more. Whether you are looking for a traditional sale, short sale or foreclosure, Metro Pacific Real Estate have experienced and dedicated agents to guide you through every phase of transaction, creating an exceptional real estate experience for you. You can trust them to identify defects in a property during the home showing and to give you the full disclosure. They maintain a good communication with the clients by providing the updated information during their home sale. They can help you understand different financing options available, identify the qualified buyers, and educate you of the pertinent things to avoid before buying or selling a property. They guide you through the closing process making sure everything flows smoothly. Constantly coordinating their efforts, Metro Pacific Real Estate is dedicated to provide the best customer service in finding homes for clients at Santa Clarita and beyond.